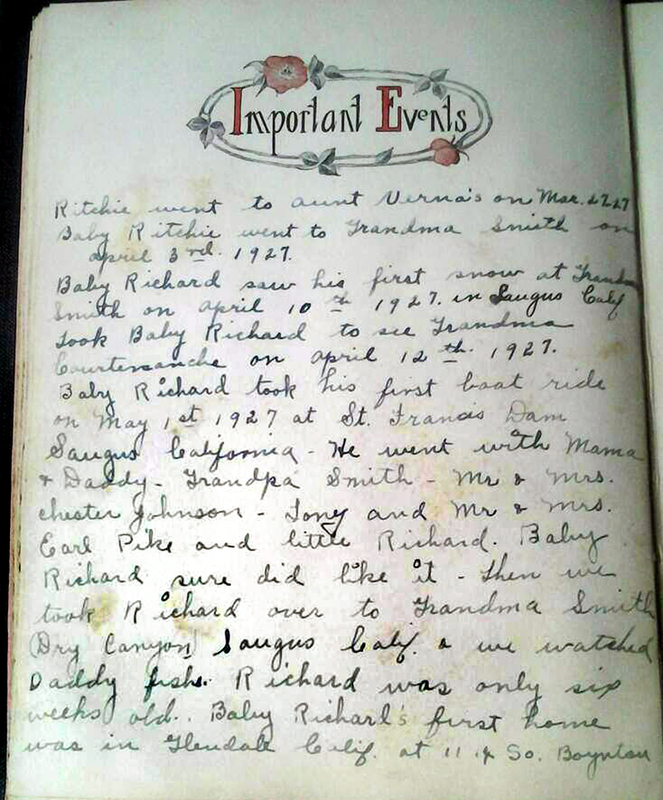 Baby book of Richard Bruitt Smith, father of the contributor, Sandy Smith Renshaw, who grew up in Bouquet Canyon and worked at the Magic Mountain amusement park in Valencia (as of 2014, living in Chandler, Ariz.). 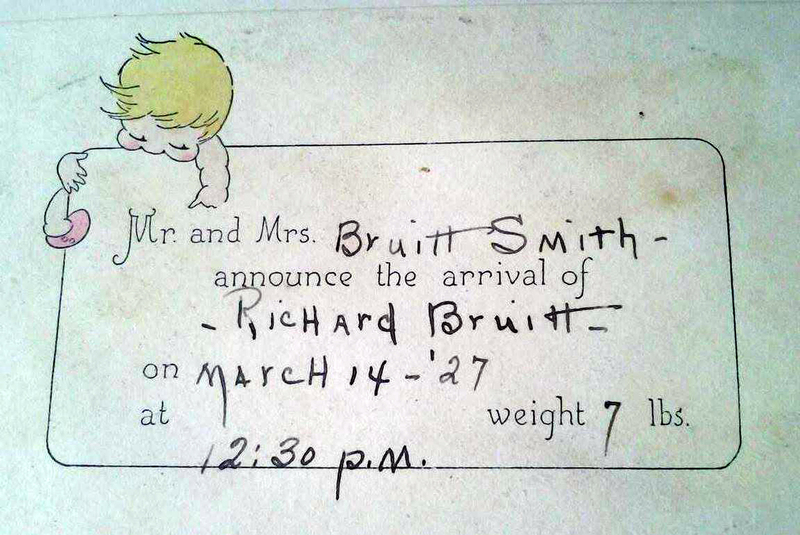 Richard Bruitt Smith was born March 14, 1927, at the Physicians and Surgeons Hospital in Glendale, Calif., to James Bruitt Smith and Louise P. Courtemanche (Smith) of 1117 Boynton St., Glendale. Six months later they moved to Sherman Oaks (then called simply Sherman). 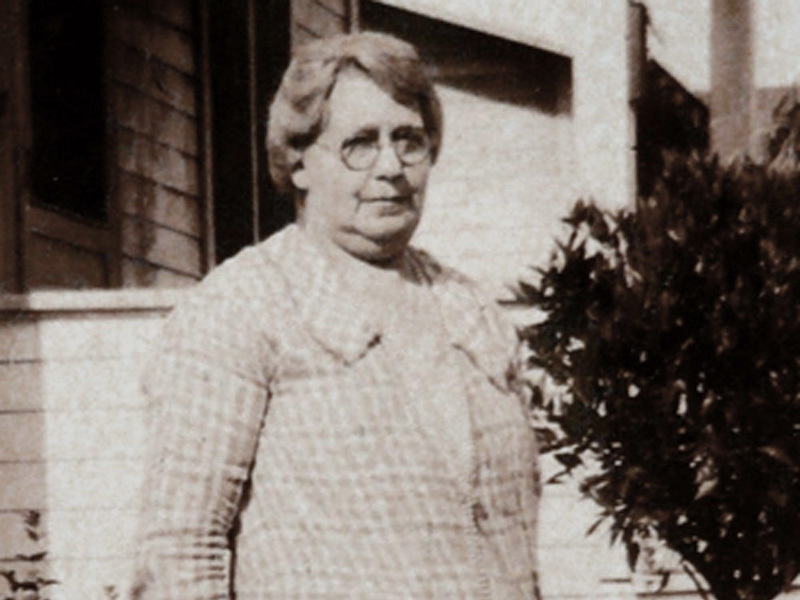 James Smith's mother, Stella Smith, lived in Seco Canyon (aka Dry Canyon), Saugus. Apparently when he was born, baby Richard received some presents. 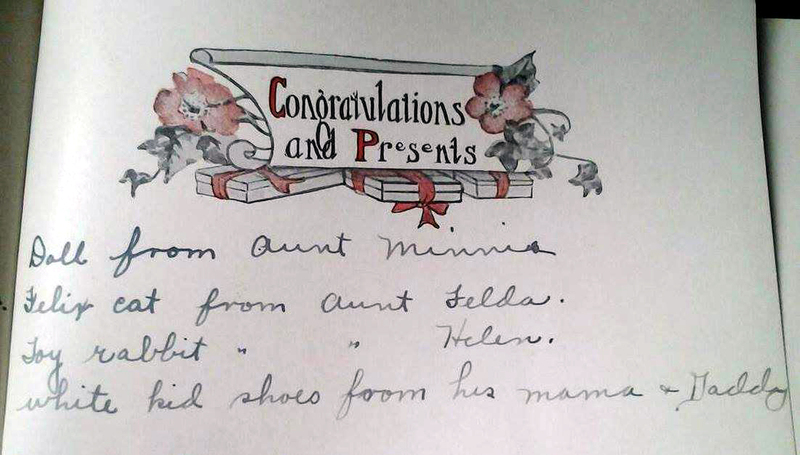 Among them were "rubber pants from Tony from St. Francis Dam." We can't be certain, but this is likely the damkeeper, Tony Harnischfeger. 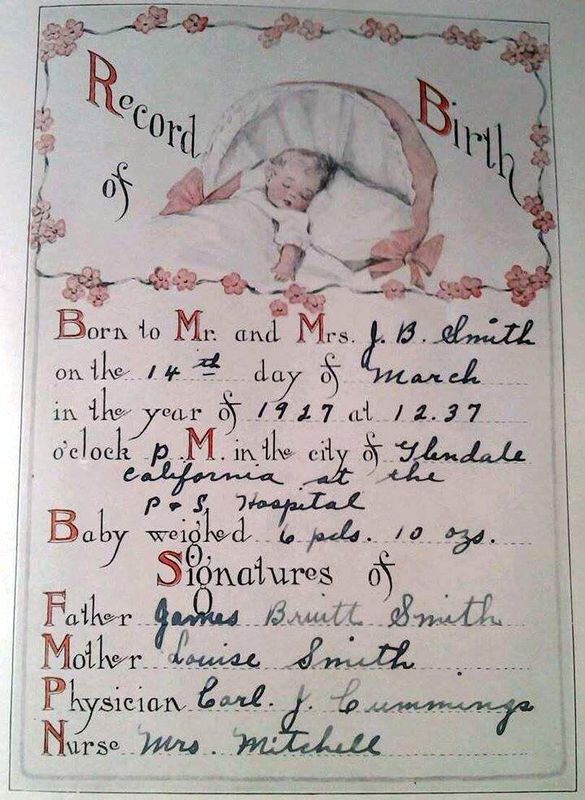 According to (Smith) family tradition, a female family member was living at the St. Francis Dam and was killed when it collapsed March 12, 1928. 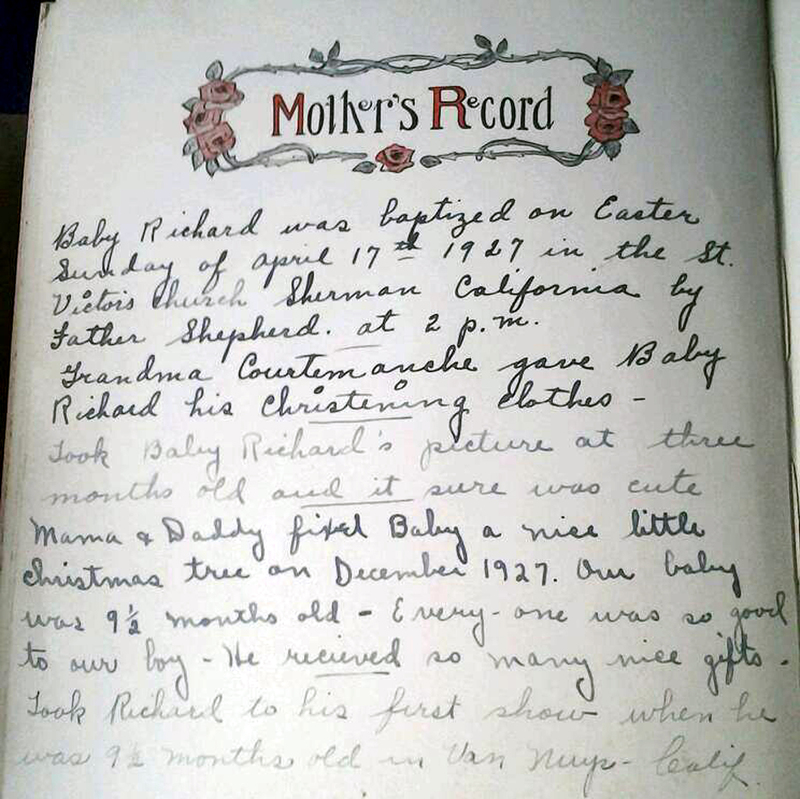 St. Francis Dam historian Don Ray reports (2014) that the relative was Felda Louella Smith Pike, who was married to the assistant damkeeper (Tony Harnischfeger's assistant), Richard Earl Pike Sr.
Felda was a paternal aunt of baby Richard. 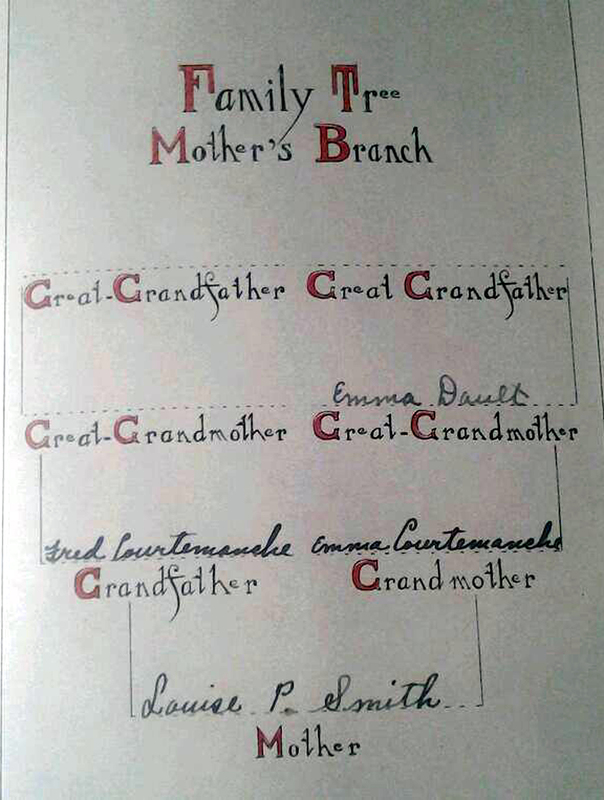 She was James Bruitt Smith's sister. 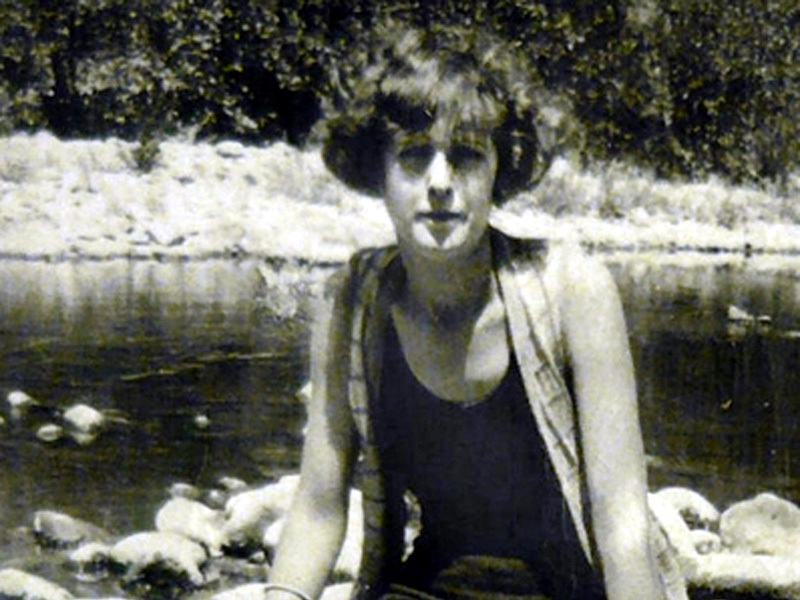 Their father was Monte Smith who, says Ray, "had been the caretaker of the Dry Canyon Reservoir until he moved to the San Fernando Valley maybe a year before." 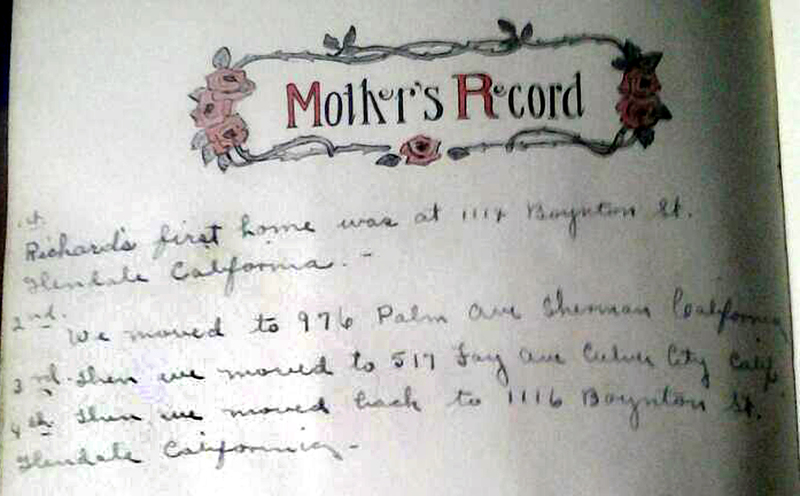 Felda graduated from the K-8 Saugus school in 1918 and attended San Fernando High School where she met Earl (Richard Earl Pike Sr.), whom she married when she was 18. 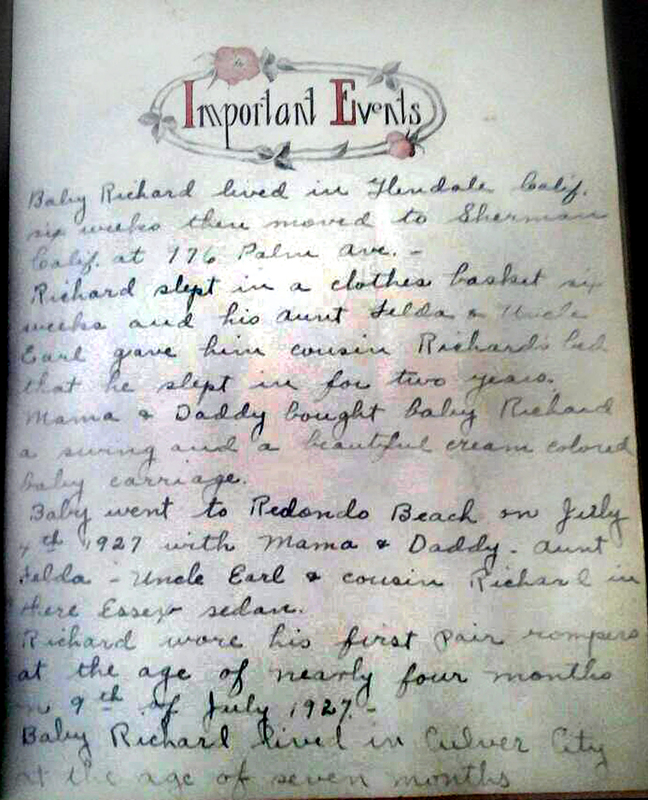 A year later they had a son, Richard Allen Pike Jr.
Felda, along with husband Earl and son Richard Jr. perished in the disaster (as did Tony Harnischfeger, his girlfriend Leona Johnon and Tony's son Coder). 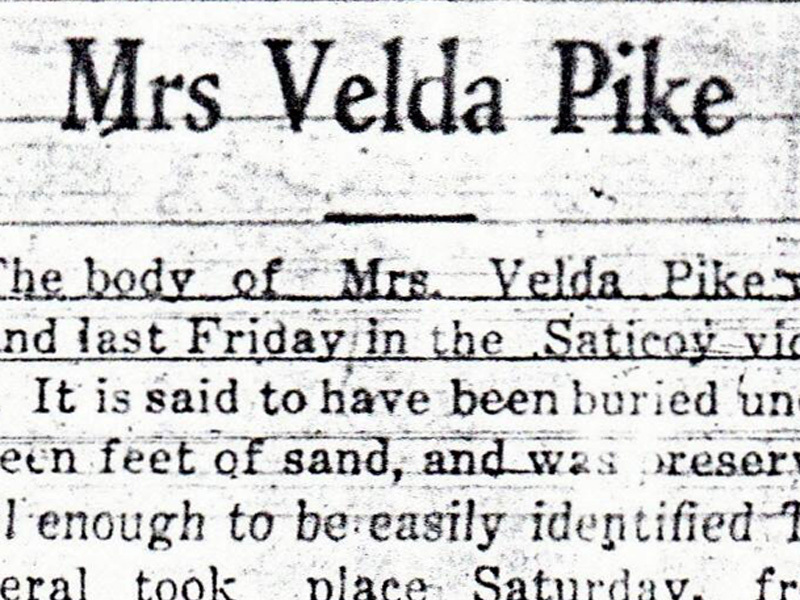 Earl and son Richard's bodies were found the next day; Felda's body turned up a month later, on April 12, 1928, when it was discovered under 15 feet of sand near Saticoy, having been carried by the floodwaters roughly 50 miles. 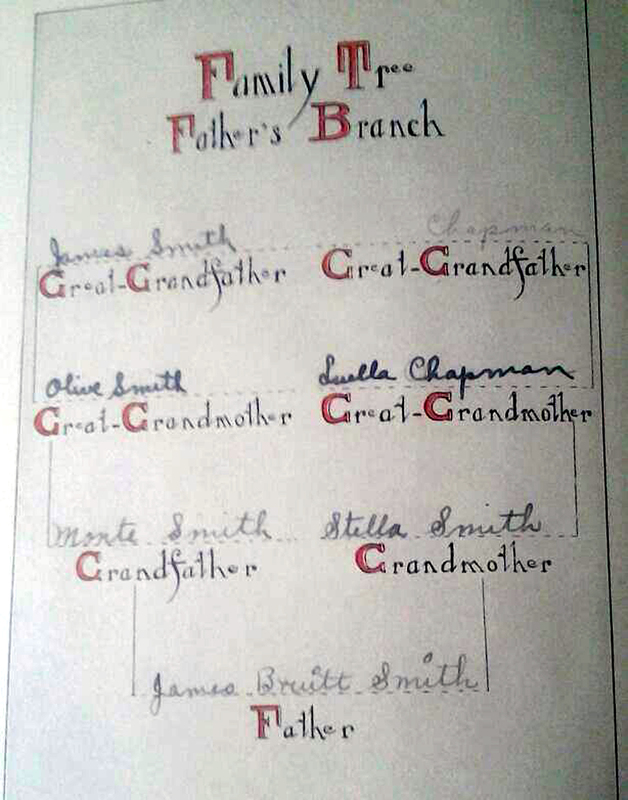 Her funeral was held the next day, local Presbyterian Rev. Wolcott Evans (the "pastor of the disaster") presiding. Felda, Earl and Richard rest in Oakwood Cemetery, Chatsworth. 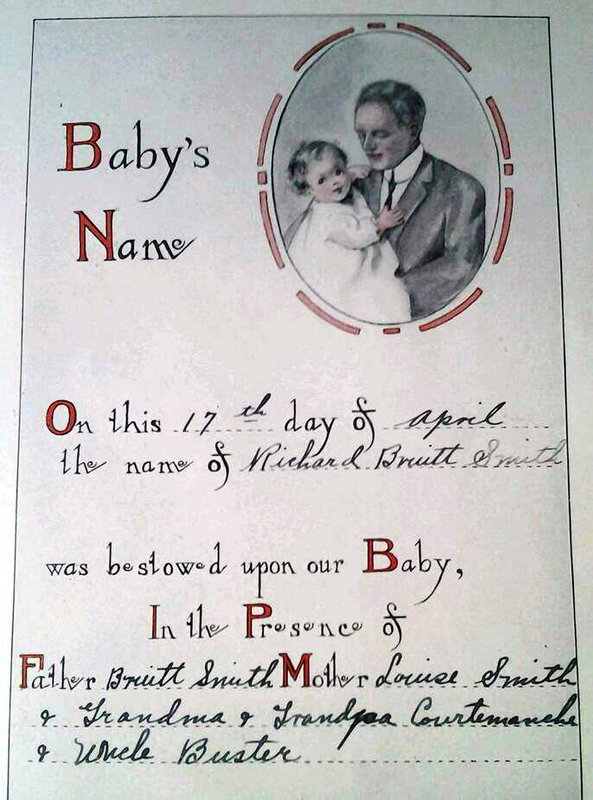 Another gift upon the birthof baby Richard Bruitt Smith was two pairs of booties from Mr. and Mrs. Chester Johnson. Again we can't be certain, but according to historian A.B. 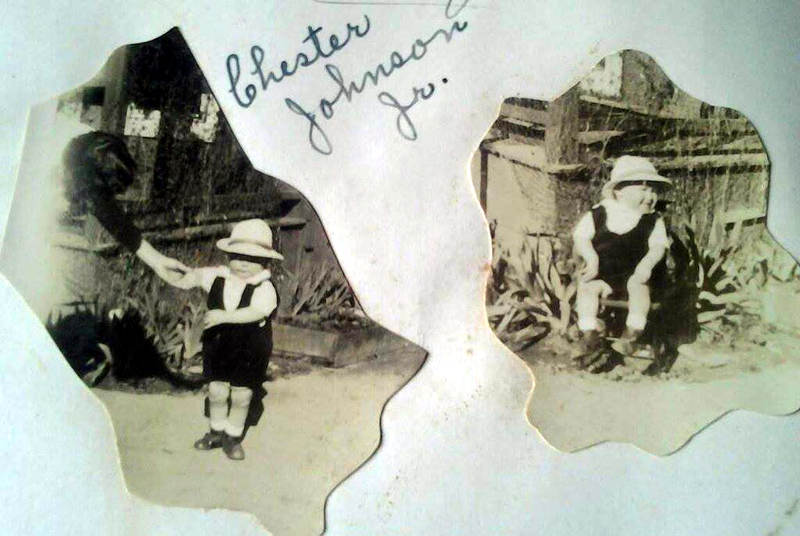 Perkins, there was a Chester Johnson living with his family and working at the Metryville oil camp in Pico Canyon at this time (1928). 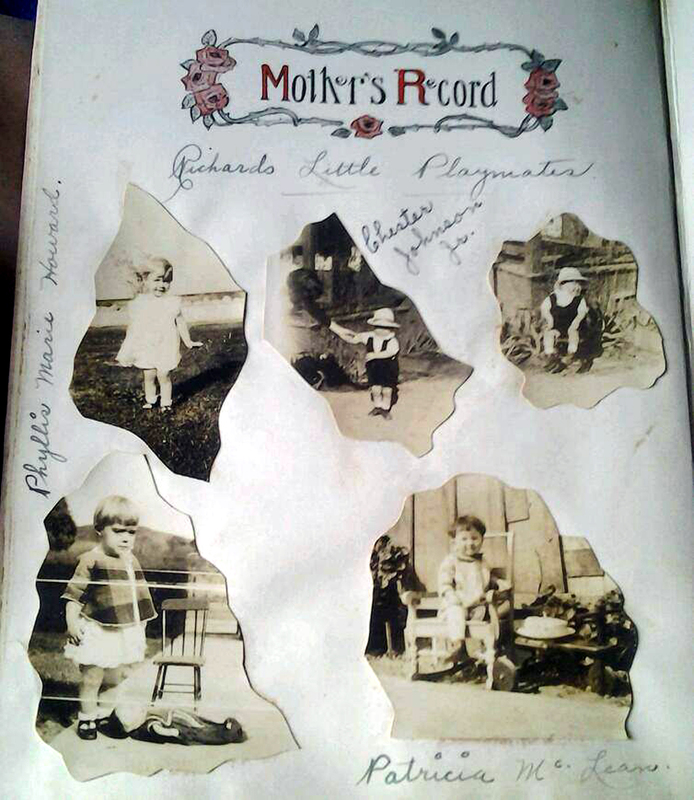 What is certain is that on May 1, 1927, baby Richard, age six weeks, went boating with his family in the St. Francis reservoir; and we know he must have had a good time because the date is recorded as the date he "pealed forth his first laugh." It does not appear there are any photos of the event. 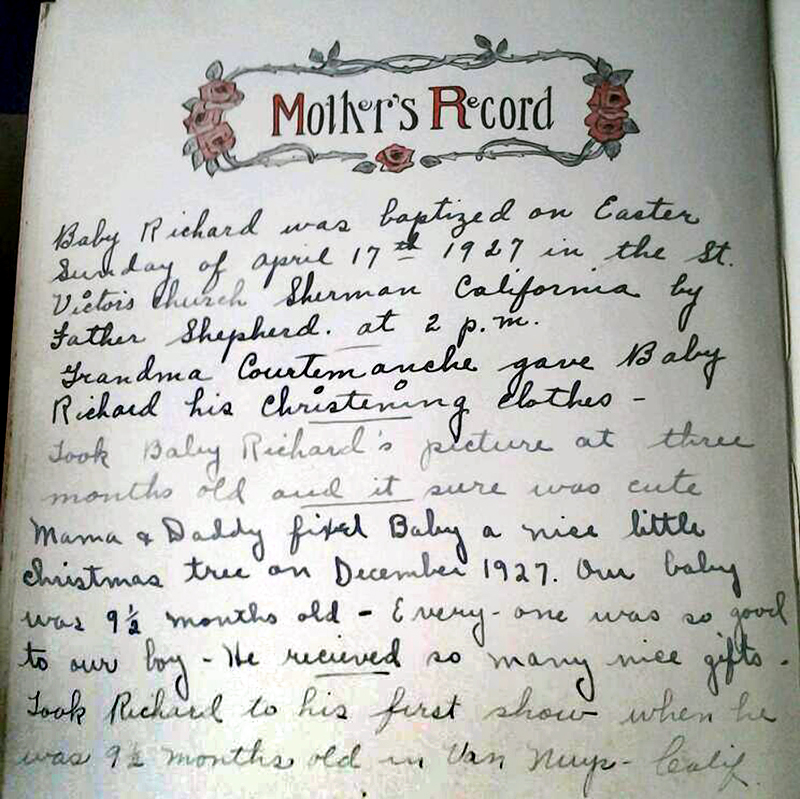 Baby Richard saw his first snow at Grandma [Stella] Smith on April 10th, 1927, in Saugus, Calif. 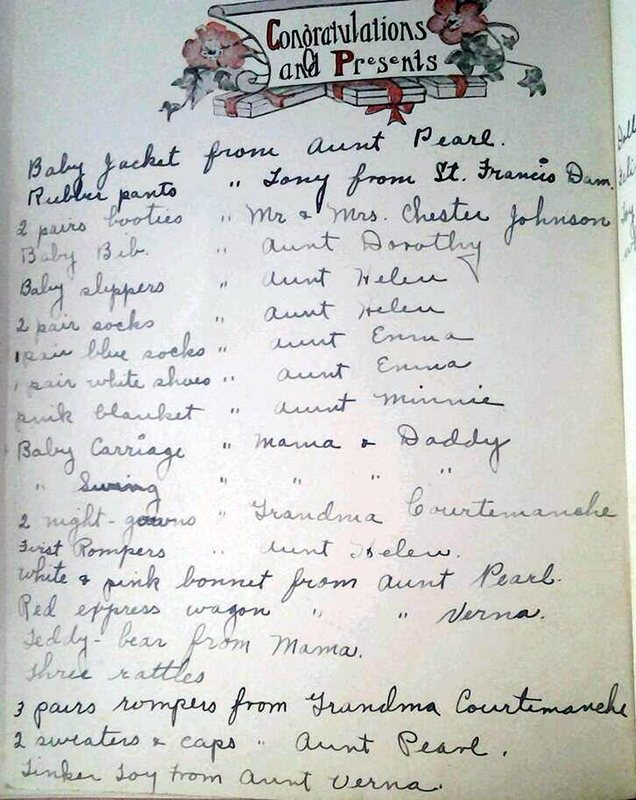 Took Baby Richard to see Grandma [Emma] Courtemanche on April 12th, 1927. 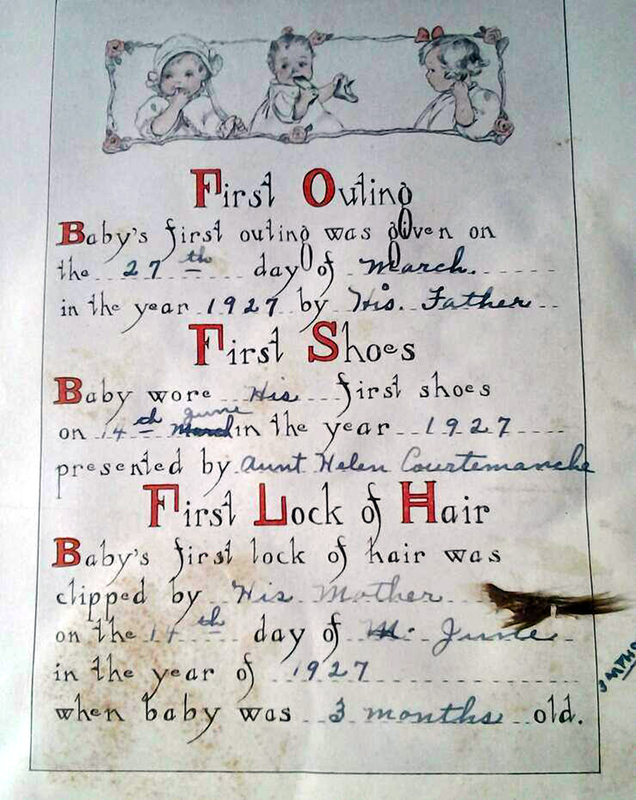 Baby Richard took his first boat ride on May 1st, 1927, at St. Francis Dam, Saugus, California. 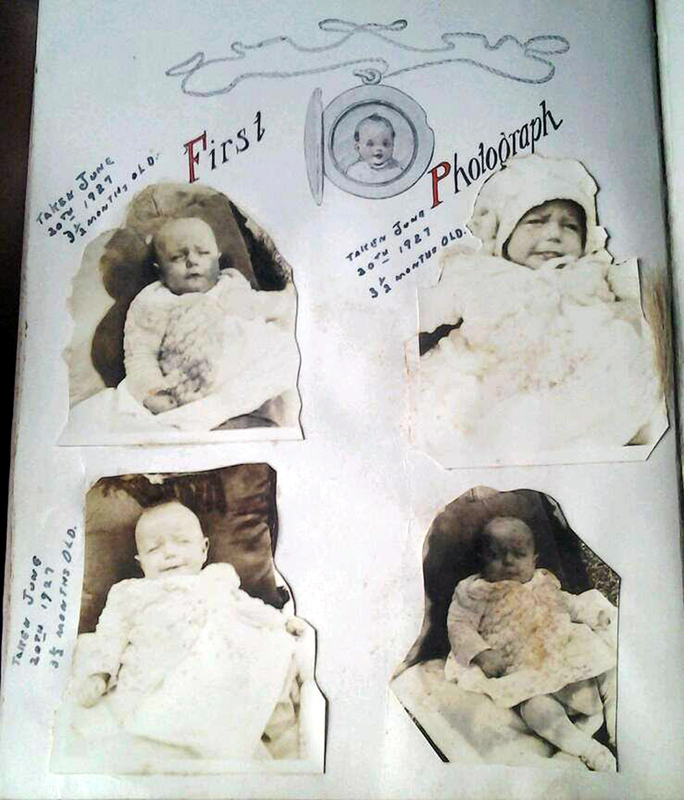 He went with Mama & Daddy, Grandpa [Monte] Smith, Mr. & Mrs. Chester Johnson, Tony, and Mr. & Mrs. Earl Pike and little Richard. 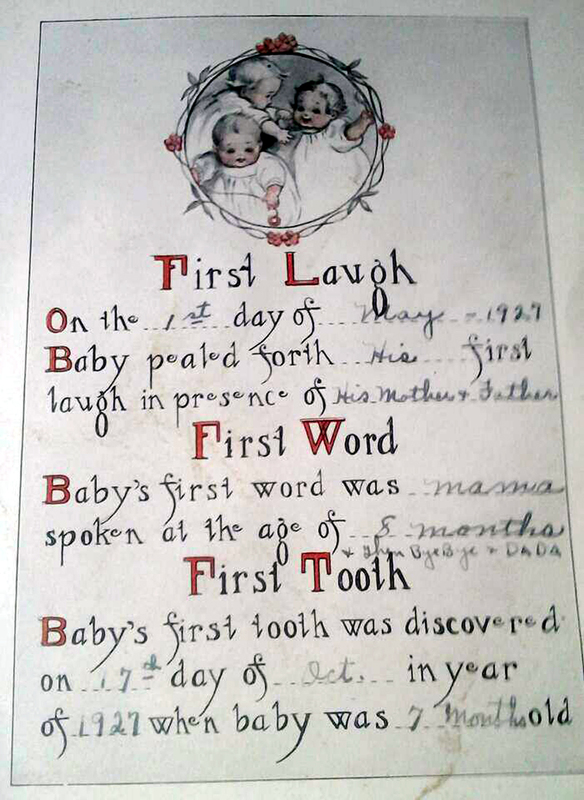 Baby Richard sure did like it. Then we took Richard over to Grandma Smith (Dry Canyon), Saugus, Calif., & we watched Daddy fish. 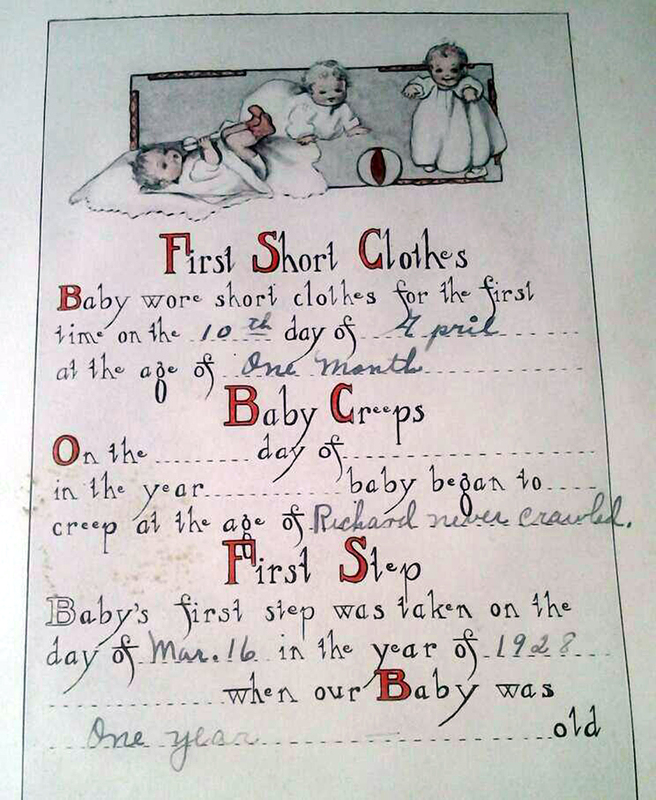 Richard was only six weeks old. 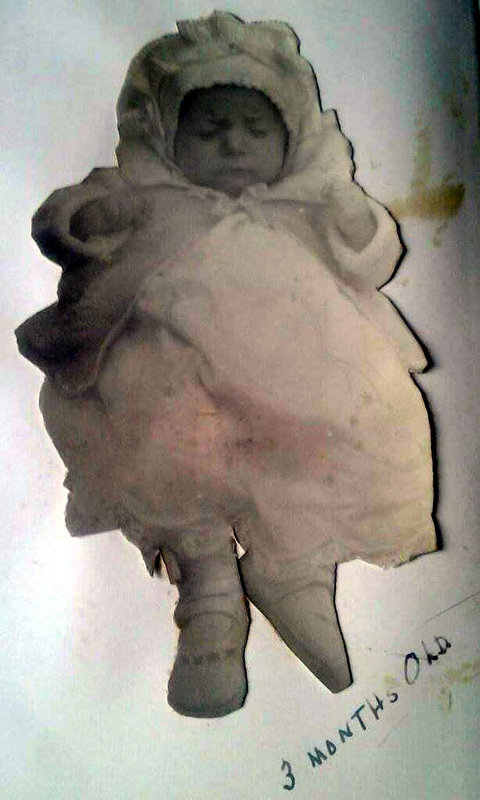 St. Francis Dam engineering expert J. David Rogers said (2014): "When Baby Richard went for a ride on the St Francis Reservoir on May 1, 1927, the reservoir level was 1828.5 feet, just 6.6 feet below the spillway crest of 1835 feet. That season the water level peaked on May 10 at an elevation of 1831.7 feet and was held near that level for just 19 days."